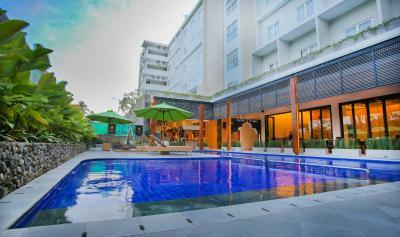 Montana Premier Senggigi is strategically located on Senggigi Street and only 4 minutes away form Senggigi Beach. 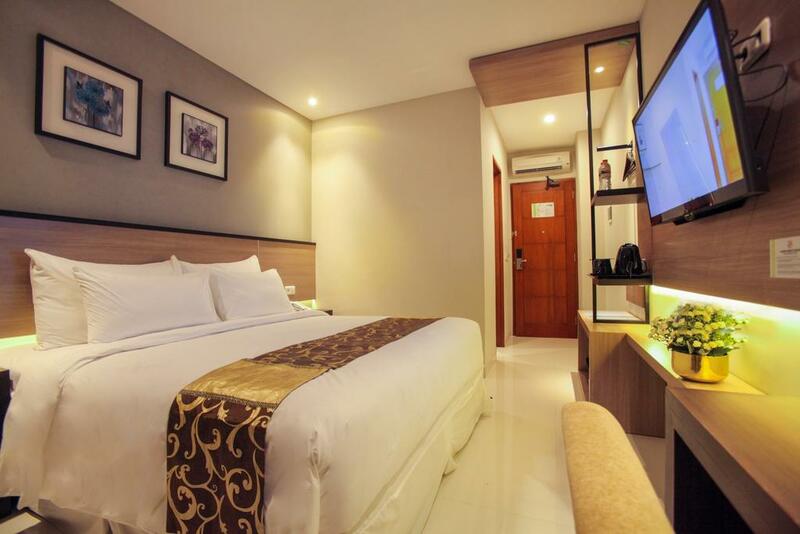 The hotel is an ideal place for travelers and business who want to get the cozy atmosphere and pleasant experience during the stay. 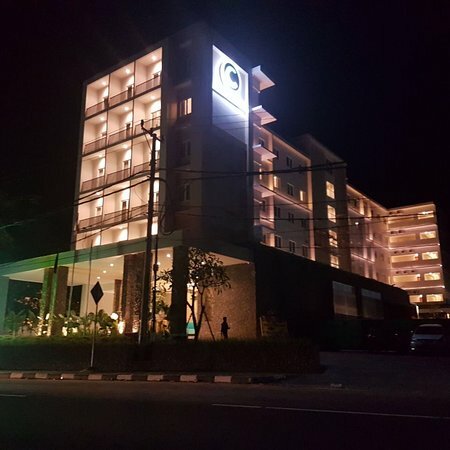 Featuring 92 comfortable guestrooms & suites (with some facing ocean and hill view), Montana Premier Senggigi also offers outdoor swimming pool, Clove Restaurant, Cilantro Lounge, complimentary WiFi throughout premises, car park and many more. The hotel also provides 2 convenient meeting rooms to provide your business needs with combined capacity for up to 100 people. 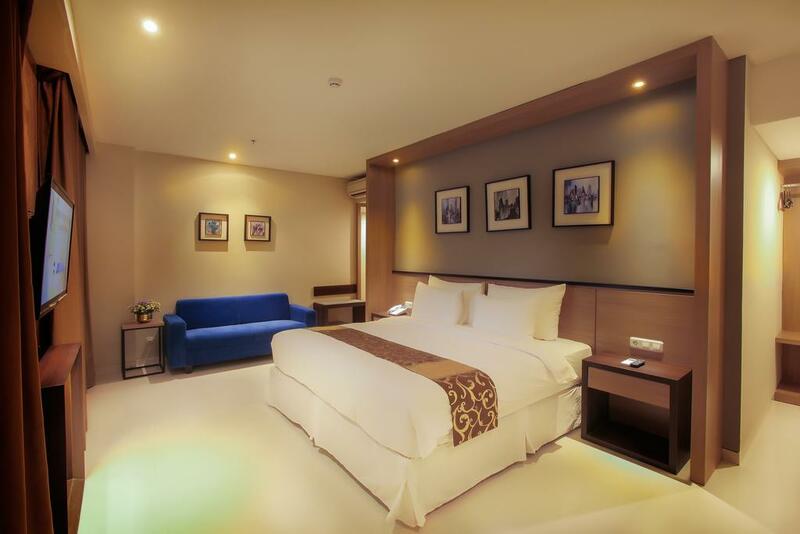 Strategically located at the heart of Senggigi, Montana Premier Senggigi is a brand new 3-star hotel that features well furnished rooms with LED TV, air conditioning, and free wifi through out the property. Guests can also indulge in our in-room massage or simply relax in our Cilantro lounge or outdoor pool area. Around the facility, there are many restaurants and bars, as well as convenience stores all within 5 minutes of walking distance. Just a step away from the famous Senggigi beach, guests can also take a stroll along Senggigi beach and enjoy the breathtaking view. Montana Premier Senggigi is 26 km away from Bangsal port that can take guests from Lombok to any of the 3 Gili islands ( Trawangan, Meno and Air). Whether you are travelling for business, leisure or on a romantic getaway, Montana Premier Senggigi is a great choice of accommodation while visiting Lombok. Check-in time is at 02.00 PM. Check-out time is at 12:00 noon, late check-out until 06.00 PM will be charged 50% additionally from contract rate, and late check-out more than 06.00 PM will be charged fully. Senggigi, Lombok at least 7 (seven) days before the date of checking-in for the low season, and 30 (thirty) days for the high season.